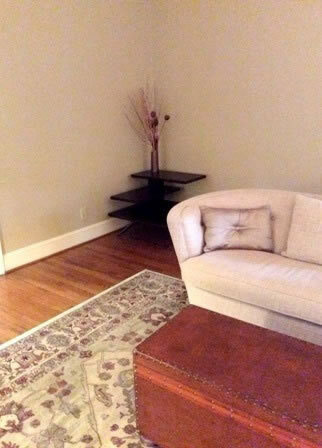 This Greensboro, NC living room was begging for color and light. 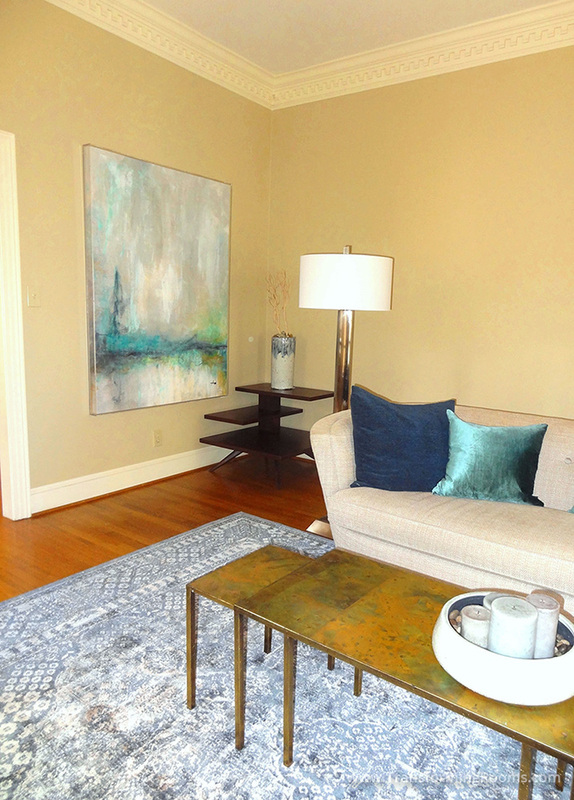 We brought large local art, custom pillows, a contemporary floor lamp, a cocktail nest of tables, and a new rug. What a difference a day makes! 24 little hours.